The above oil on panel is the work of the 19th century French maritime painter Jean-Baptiste Henri Durand-Brager. 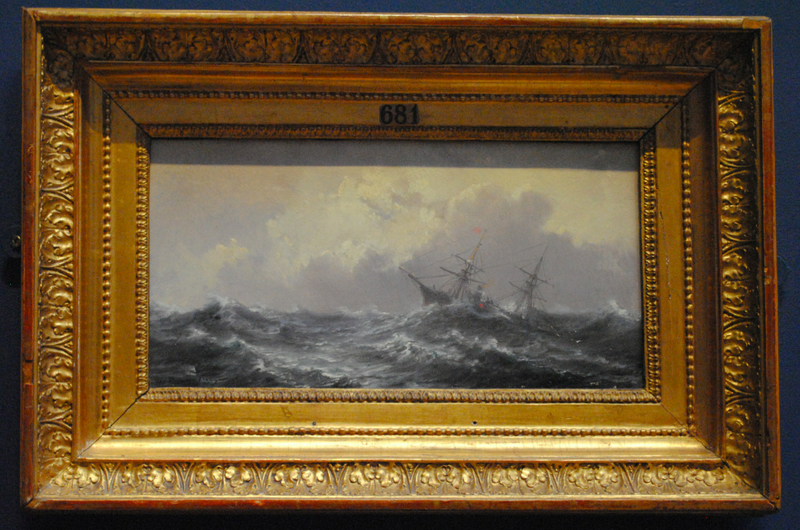 Dating to between 1838-1867, the scene depicts the struggle of a ship braving a stormy sea. It is highly likely that Durand-Brager would have witnessed such a scene having travelled to the Atlantic coast of Africa as part of the expedition to return Napoleon’s remains from the island of St Helena in 1840.